Summer is officially on its way. And when the sun starts to shine for longer and the nights are much lighter, we all want to spend a lot more time outside. 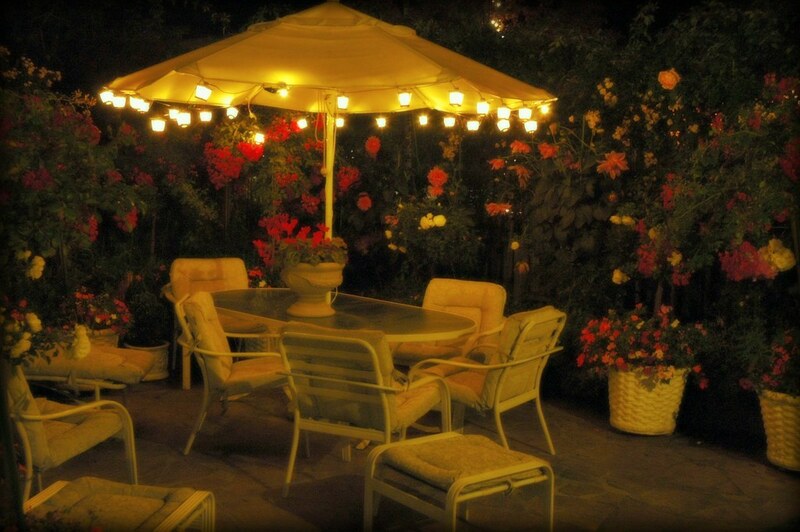 At this time of year, we can often feel the rush to get our outdoor space ready for regular use. If you’ve yet to get out there and get to work, you might be wondering where to start. To save you time and money, make sure you focus on just a few essentials, and you’ll be ready to eat al fresco and sit in the sun in no time at all. First up, getting your outdoor dining furniture in order is a must. If you already have a set, you’re going to want to get out there and clean it up ready for the season ahead. Plus, by getting out there early, you will be able to check it over and make a call on whether you need to invest in a replacement or not. If you’re looking to buy a new set, get shopping. Compare prices, styles, and materials and order a style that can be set up without hassle. When you have kids, you want your garden to be as child-friendly as possible. It’s about balance. On the one hand, you want to have a pretty garden that you can enjoy sitting out in. And on the other, you want your kids to enjoy it too. To keep them entertained and also contained, why not think about building a play area or setting a section aside? With a slice, swing set and even a sandpit, you’re little ones will love playing out for hours on end. If you have a pool, you’re going to need to give that a little work too. Checking it out now will save you time when you’ve got garden events to host. You might need to get it cleaned or to replace any of the accessories that needed updating – like your cover. If your pool is no longer keeping its heat or seems to be dirtier than usual, you might need to look into custom made options, as offered by sites like poolcoversandrollers.com.au, and discuss your options. With a new cover in place, you’ll know that you have less work to do as the season goes on. If you’re planning on spending a lot of time outside and you don’t live in the warmest place, you might want to consider some external heating. There are a ton of cool outdoor heating design options available for you to consider too. Whether you want a pretty fire pit to sit around or reliable heating lamps, take a look at energy efficiency and heat output stats for each and make a choice that suits your outdoor space best. When your garden has a lot of plants and vegetation, you’re going to need to keep on top of the watering over the summer months. If you’ve not got a lot to water, you might be happy with a traditional watering can. But, if you live in a hot town or you have lots of flowers and vegetables, you might want to look into a heavy duty hose or even a state of the art sprinkler option instead. This entry was posted in Crafts and DIY on May 5, 2017 by mommyhasalife. A home is a profitable asset there is no denying that fact. However, some people get to the point when the time is right to sell their home and move on to a new beginning somewhere else. But in their eagerness to up sticks and move, they can forget that they still have an opportunity to boost their property value by making some home improvements. It may seem pointless, but more often than not, small investments that cost you initially can almost double the return you would get when it comes to the total resale value. Who doesn’t like those odds? So I thought I would share with you some of the improvements you could make to your home that could boost your earnings. It’s better in your pocket after all. One of the simplest and cost effective ways to add value to your home is to change the interior decoration. Everyone decorates their home how they see fit, but what you like might not be someone else’s cup of tea. Taking your home back to a neutral decoration and interior can be a smart move. Firstly, it appeals to the masses, and secondly, it looks clean and modern. Something many people are looking for when it comes to a new home. Often the first impression is the only one you get to make in this world, and the same can be said for your home. So give it some kerb appeal and focus on the exterior look. Perhaps improve your driveway in someway by installing a new concrete base, companies like Pavement FX have some great suggestions. You could also take pride in the garden or yard areas by mowing the lawn or planting some flowers to give your home a pop of color. 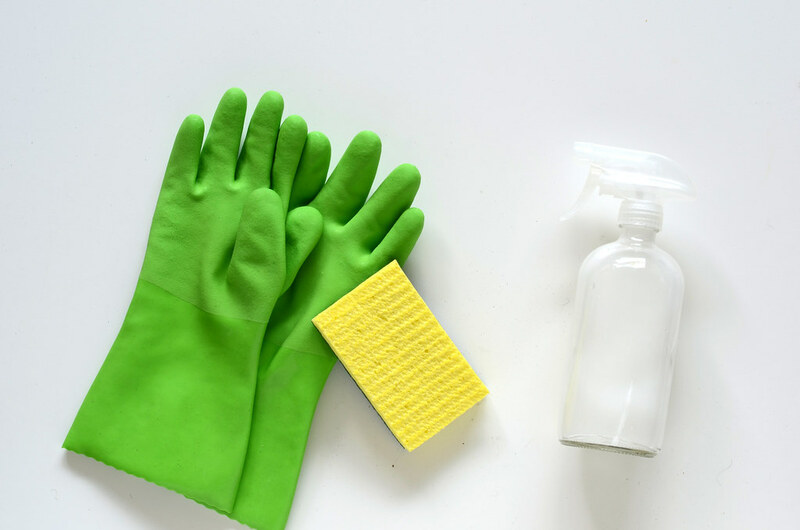 If anything it will help make your home stand out and look amazing. When someone looks round your home, they want to be able to envision themselves and their belongings in it. So help them out by minimising your own assets. A cluttered home can look messy and untidy and drop the value. But a clean and minimalist approach could be the difference between you getting the full asking price, or taking a drop in value. This might cost you a storage fee while you are between homes, so make sure you work out all your options beforehand. One sure fire way to increase the value of your home is to focus on the two main rooms of the house that will ultimately sell it quicker than anything else. The kitchen and the bathroom. But rooms are prime spots when it comes to people househunting as they can be seen as big and expensive jobs to undertake. But doing it right and investing properly could help you massively increase your sale price come the time to sell. Finally, if you have the time to stay in your home a little longer, then extending and adding living space is a great way to invest low but will give you the maximum return. Are you sick of waiting for ages every morning while the rest of your family all use the family bathroom? This is a nightmare that most families face, and it only gets worse as your kids get older and start to worry about their appearance! But you don’t have to spend your mornings queueing outside your bathroom for hours on end. The best solution is to add on an en suite bathroom to your master bedroom. Then you and your partner have your very own space for getting ready in the morning. And you can leave the kids fighting over the big bathroom. Not sure how to go about creating the perfect en suite? Here are some very useful tips. As you will be adding the ensuite to a corner of your master bedroom, you probably won’t have a whole lot of space for it. But that doesn’t mean that you won’t be able to fit one in! In actual fact, most en suite bathrooms are very compact. This is easy to do, especially if you are happy to have just a shower cubicle rather than a large bathtub. Column radiators are perfect for smaller bathrooms and will fit neatly into your en suite. If your en suite is going to be especially small, you might not want to fill it with excessive storage. Worried that your new bathroom is going to feel quite cramped and claustrophobic? Then you just need to work on creating an illusion of space. And the best way to do that is by using mirrors. Simply adding a large mirror to one wall will help to make the room feel a lot more open and light. It’s also possible to get mirrors with LED lights installed into them. This extra light can also help make the ensuite feel bigger than what it actually is. When plumbers fit your shower, sink, and toilet into your new en suite, they will need to add a lot of pipework. Unfortunately, this can be very unsightly. But rather than live with having to look at these ugly pipes every day, you will be better off just covering them up with some panelling. Some plumbers might offer this service, so ask the one who you hire to fit the en suite. If you are really struggling to find the space for an en suite bathroom, all is not lost! You could just add a wet room. This is like a room that is just a shower cubicle so, as you can see, they don’t have to be particularly big at all. But it’s a good idea to make them big enough so that you can fit in a couple of shelves. Then you will have somewhere to put all your toiletries! Once you do add an en suite, you will find that a lot of morning stress disappears. You won’t be late because you had to wait for the shower anymore! This entry was posted in Crafts and DIY on May 1, 2017 by mommyhasalife. Financial emergencies – no one likes them, but everyone experiences them at some point. The broken boiler, the plumbing leak, the exploding car engine – if you are anything like our household, you probably experience one of these issues every year at least. And when money is tight, these events can be a gut wrenching experience. You try to make every cent of income count, work hard to save a few bucks every once in awhile, but there is always something that crops up that sets you all the way back to square one. Of course, head to any financial advice blog and they will all tell you that you should be planning for emergencies, building up a fund for such occasions, and developing better foresight than Nostradamus. The reality for the vast majority of us struggling to make ends meet is that this is nearly impossible. So the big question for today is, how do you deal with these household financial crises that seem to crop up when you can least afford them? I’ve pulled together some ideas from across the web so take a look and see what you think – I hope they will help some of you out. Forget about what you might have read about building up six months worth of wages for your emergency fund. The vast majority of families I know would struggle to put aside six days worth! That said, even a small amount of money set aside at the end of each month can help. It makes paying for these terrible financial emergencies a lot easier and leaves you with more of the income you typically use to pay for the basics. If you literally have no money to save, think about cutting back in certain areas. Perhaps you could go to a cheaper grocery store and bank the difference in price. Or maybe you could pull an extra shift at work if possible, and put your extra earnings into the savings pot. Some household emergencies require immediate action, of course. When your little one hurts themselves, you aren’t going to wait around for a week to bring them to a hospital, and there are other situations like a gas leak where it is essential that you get help straight away. But there are other emergencies that you might think you can sleep on – damp in the walls, for example, or a boiler making noises reminiscent of a dying goat. My advice would be to act as fast as possible. Call out the plumber, the gas company, or whoever you need, because the longer you leave it, the more its going to cost to repair. Yes, you should always act fast to prevent the problem becoming worse – and more expensive. But you still need to act sensibly, too. When panic stations are in full swing, it’s easy to go into situations blind, and hiring the wrong person for the repair job can lead to even more issues. It can be difficult to think clearly when emotions are running high, of course, but a wrong decision about getting things fixed cold come back to haunt you in the not too distant future. Try and think rationally about the situation, ask for repair quotes, and speak to friends and family about repair recommendations – never take on the first person you find that is willing to do the job. If you don’t have a large emergency fund, make sure you always know your current financial situation – at all times. You will need to prioritize your money, usually in an order like this: food, shelter, getting to work, utilities and then debts. If you do have an expensive crisis on your hands, contact your creditors and explain what’s happened, then do the same for your utility companies. The vast majority should be lenient with you as long as you don’t turn it into a habit. A short-term loan might help, of course, but you should raise cash in advance loans only if you can guarantee you can pay it back at the earliest opportunity. Severe financial emergencies in the home can often lead to debts spiraling out of control, and no one wants that to happen. Instead of getting into more debt, it’s a more sensible idea to swallow your pride and ask for help. Family, friends – even neighbors – might be willing to help you out in any way they possibly can. As a single mom, I can tell you that people can be incredibly kind, and as difficult as it can be to ask for help, there is no shame in it. After all, if a desperate neighbor asked you for the same help, would you hold it against them? Unexpected expenses are exactly that – unexpected. And even with the best will in the world, it is impossible to prepare for everything. Once you have got on top of the initial problem, it’s worth checking your insurance plans to see if you are covered. It would be nice to be able to do this right at the very start of the process, but we all know that insurance companies are pretty tight when it comes to paying out, so always fix the issue first of possible. Look into warranties, too – if your oven breaks down, for example, it might be within a guarantee period and open for free repair. That said, Murphy’s Law suggests a piece of equipment will only break down a day or two after any guarantees expire! Finally, selling possessions because you have to isn’t the most pleasant experience you can have, but it can help plug up your finances. All of us have things in our home that we rarely use, and as a rule, anything that hasn’t been touched for six months is probably not worth keeping. However, selling your things is not a quick fix – it can take days or weeks to get rid of things, even on sites like eBay and Craigslist. This entry was posted in Crafts and DIY on April 19, 2017 by mommyhasalife. When buying a new home you will normally have a checklist of the types of facilities and features that are important to you and your family. Things like the view, a large kitchen and private garden usually top the list but you could save yourself money and time by digging a little deeper to see if your dream house is in fact a potential new home nightmare. Here are some common home problems you should definitely try to avoid or at least plan for when picking your perfect pad. Rising damp – rising damp refers to excess groundwater that rises through the walls of your home causing structural weaknesses and unpleasant damp smells. You can spot it fairly easily by looking for discolouration of the walls and the presence of mould. You can also feel the damp by placing the back of your hand against the plaster. Depending on the severity of the case it can be quite costly and fiddly to fix. It can also have a number of causes such as poor soil drainage that can cause other structural problems – so this is one to avoid unless you want rising repair bills. Infestations – whether it’s rodents or termites, pest infestations are a pain. Unlike rising damp being forewarned is forearmed and the presence of pests doesn’t have to prevent a sale. Check for signs of pests like droppings, rotting wood or even termite tubes, mud like structures that cling to the outside of the house, so that you can put plans in place to evict the unwanted residents before you move in. There is plenty of information and advice available on the internet and you can also find control and prevention solutions like Terminix. A good foundation – without a good foundation your new home could be at serious risk. The obvious problem that springs to mind is subsidence, which you can check by looking for cracks, usually by windows and doors. Foundations can also be compromised by root systems from large nearby trees which can grow up through the foundations threatening its integrity. A hard hat – if you have a solid bottom, make sure you top it off with a good roof. The roof is often the most neglected and expensive area of the house if damage occurs. There are five common roof problems that are bad news for potential home buyers – caused by leaking gutters, nesting animals, missing or damaged tiles and shingles and water damage. You can check for these problems by asking to see the attic or taking a pair of binoculars with you to house viewings and simply looking up. Check fascias, tiles, gutters, flashings and soffits for signs of discolouration and damage. If you are unsure of the consequences of any damage seek professional advice. A home survey should throw all of these problems up so don’t worry if you miss the signs. If you can spot them before the survey though it will save you time and energy that you can be better spent planning your new home move. This entry was posted in Crafts and DIY on April 14, 2017 by mommyhasalife. What a fun day we had at Breakfast with the Bunny at the Akron Zoo! We packed up our cooler, packed up our kids, packed up the van and off we went at 7:30 AM to get to the zoo before 8:30 for a super fun day! And just to clarify… there are 8 of us all together. So 2 babies, 4 children, and 2 adults. Crafts! They had a few simple craft options for the little ones to do. They could choose between a butterfly, an airplane, or coloring a paper egg. These were all simple enough for the preschool aged children, but also fun for the school aged children. A visit with the Easter Bunny! What was nice about this event is that you do need a special ticket to attend and they only sell so many. So there was not a long line to visit the Easter Bunny and when we got up there I didn’t feel rushed like you do at the mall. We have a few little ones that are afraid of costumed characters (and stuffed animals… Caleb…) so we needed the time to visit with Mr. Easter Bunny. The Easter Egg Hunt. This was the highlight for our gang. Everyone talked about the Easter Egg Hunt ALL day. First- how cool is it that the Egg Hunt takes place in the zoo, like where you walk to see the animals! Second- the eggs were not filled with candy, instead the eggs were empty and you turned in the eggs for a goodie bag after the egg hunt. There were two special Golden Eggs that you got an extra special prize with- I have no idea what that prize was since we did not find any Golden Eggs. BUT- the goodie bags were very nice and included a cute stuffed animal along with some other small trinkets. What was nice for this mom was that those stuffed animals doubled as souvenirs from the zoo. After the egg hunt you had until 10:30 to visit with the Easter Bunny and then we were able to enjoy the Akron Zoo for the rest of the day and the kids had a ball!! Would I recommend Breakfast with the Bunny? YES! This was a really fun day for our kids and I feel like everyone should experience a special event at the Akron Zoo at least once– or maybe even a yearly tradition! This was the first time we had the opportunity to do something like this and I really felt it was worth the price tag (a big question I got when I was telling people that we were going). Factors into the price: #1- The breakfast buffet! This an all you can eat, good quality meal. #2 The Easter Activities- Visit with the bunny with virtually no line (umm- have you waited more than an hour at the mall– because that was us at Christmas time with Santa! ), a personalized-no-rush visit with the bunny, a fun egg hunt IN the zoo, and a craft! #4 Admission to the Zoo! #5 – Free Parking too- and we got a close spot! So yes- take your kids to check out Breakfast with the Bunny at the Akron Zoo. There is still ONE more day left for you go this year (April 15th), and if you can’t make it to that day, please be on the look out for this event for next year! This entry was posted in Easter, Entertainment, Family Activities, OH, Travel and Vacationing, Uncategorized on April 14, 2017 by mommyhasalife. If you have a family, then making sure the vehicle you take them from A-B in is as safe as possible is crucial. When was the last time you checked the oil, water, and other important factors? Making sure you keep an eye on these things, and that you drive carefully will keep it running smoothly. When your mattress gets old, it can stop giving you the support that you really need as you sleep. When you don’t get the support and quality of sleep you really need, this can affect your life. If you’re waking up feeling less than great in the morning, this could be the reason why. Having a water filter is pretty important, assuming you don’t want to drink fluoride and chlorine. Fluoride is associated with dementia and Alzheimer’s. If you don’t change your filter often enough, you’ll end up drinking water that’s dirtier than the water being filtered in the first place. The air quality of your home is absolutely crucial, so you must know when to replace it. 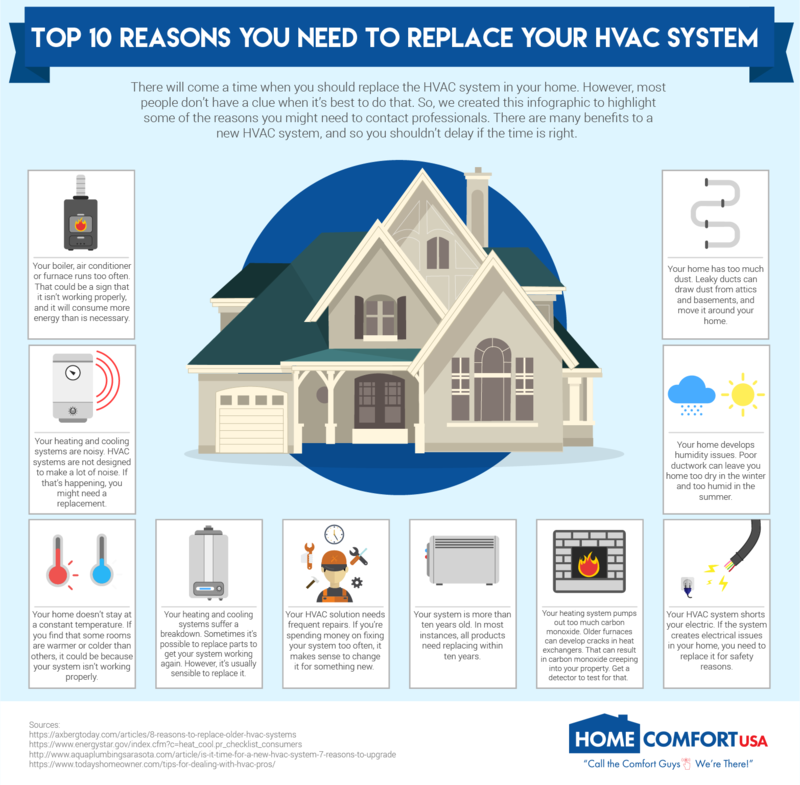 The following infographic can help you to figure out when it needs to be replaced. This entry was posted in Crafts and DIY on March 4, 2017 by mommyhasalife. The kitchen and bathroom are two places where there is a good chance of slips and falls due to wet flooring. Although you can never completely get rid of the danger, you can make a slip-based accident much less likely by installing textured floor tiles, which offer an extra level of grip. If you are planning on remodelling your kitchen anytime soon, you might want to think about replacing your boxy kitchen islands and workspaces with curved ones. By doing so, you will remove many of the sharp edges in the kitchen, so you won’t have to worry quite so much when the kids are running riot in the kitchen. If you don’t already have one, and you have the space, adding a large kitchen island is a great way to bring the family together. You can be prepping veggies for the dinner as the kids sit around the island doing their homework and your partner works on their taxes, all in the one space. There are lots of kitchen appliances that make life in the kitchen so much easier for us all. Things like sharp chef’s knives and high-speed blenders take the time and hard work out of cooking, but if you have small children, they could also pose a threat, which is why you should plan for plenty of high cupboards space or installs shelves well out of the reach of little hands. Installing a wipeable whiteboard, or even a classic blackboard with chalk, in the kitchen is a great way to keep the whole family organised. Use it to write shopping lists, dental appointment, homework and even recipes, and you’ll all know exactly what is going on from day to day. If you have a large family or you often have lots of guests over, check out some of the larger kitchen sinks available. Installing a large kitchen sink will stop your dishes from overflowing and creeping on to the counter when you’ve just made a big meal, and you’re not quite ready to clean up. If you want to encourage all members of your family to spend more time with you in the kitchen, you may want to think about installing a few sources of entertainment to keep everyone happy. You could mount a small kitchen TV on the wall to keep you company while you cook and entertain the kids before family meal time, or you could install a wireless sound system that will let you stream your favourite songs in the kitchen. Of course, you could go quite low-tech and simply bring a radio into the kitchen, but that’s less likely to convince the kids! This entry was posted in Crafts and DIY on March 1, 2017 by mommyhasalife. We can all remember one instance where we’ve been trying to get in or out of the garage with both our hands full of groceries, tools, or something else. Getting this piece of smart home tech will ensure that you can simply make the garage door swing open, instead of finding somewhere to put everything down. There are many companies out there offering openers that are compatible with common smart home hubs like the Amazon Echo. Once it’s all set up, you’ll be able to use your voice to get your garage open and closed, making those awkward trips from the car to the home so much more convenient. Some interfaces will even let you check the status of the door from your phone whenever you like. Smart thermostats are one of the most popular pieces of smart home technology on the market, and have become a star product for many HVAC companies like Academy Air. For many people, getting one of these is a purely economic decision. By programming your smart thermostat, you’ll be able to set certain caps on how much heat or conditioning you’re using, and shave a considerable amount of your usual heating bill. However, there are many features about these great little devices which also increase the overall comfort of your home. You’ll be able to adjust the heat in your home from anywhere provided you have your phone on you, get email alerts to tell you when the temperature is rising or falling outside of your pre-programmed range, and save yourself all those trips to the dial whenever you want to warm up or cool off. Modern smart home thermostats are one of the best ways to test the waters and see if this kind of tech is for you, so start looking! Sometimes, how comfortable we are in our homes goes past the temperature, the quality of our furniture and other physical factors. Often, one of the biggest deciding factors in how comfortable we feel is the degree of security we have. While smart locks are still in their infancy, and there are various bugs that need to be ironed out, they’re generally much more reliable than conventional, mechanical locks. While a regular lock can be picked, smart locks only allow access to authorised people, and everything is controlled through smartphones. As these are developed, it’s only going to get harder and harder for would-be burglars to force the mechanism. Aside from the added security benefits, you’ll never have to worry about leaving the house without your keys again! This entry was posted in Crafts and DIY on February 22, 2017 by mommyhasalife.